The 901-E Series Interface Logic provides a DC volt pulse width modulated signal to control the 905 Series Power Switches. The 905-M (master) includes a 901-E. The 905-S (slave) can either be driven by a 905-M or by a 901-E Interface Logic, which converts the slave to a master. The 901-E(VmA) Series Interface Logic accepts 0-10VDC and 4-20mA. The input signal determines the percentage of time that the power switch is on and therefore the power delivered through the switch. The input signal can be derived from a thermostat, flow sensor, pressure sensor, or energy management system. This interface is required when an analog input is being provided that requires the entire load to modulate from 0 to 100%. 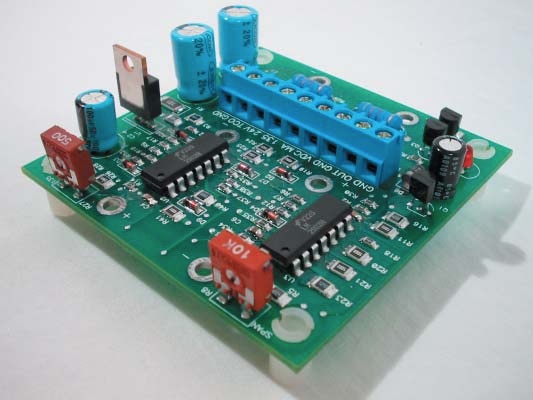 When a 904 Series sequencer is used to provide incremental stages combined with a proportional (modulated) SCR stage, this Interface is not required since the 904 sequencer includes its own interface circuitry and provides a PWM signal directly to the 905-S power switch.